Does every one of your smartphone purchases somehow, abruptly, end in a pile of Gorilla Glass shards on the ground, or at the bottom of a toilet, or somehow ends up a lifeless paperweight? Maybe you can’t have nice things. Or, maybe you need to get the Samsung Galaxy S5 Active. You’ll find very few (read: no) differences in internal hardware when comparing the Galaxy S5 to its Active variant. The Snapdragon 801 processor, 2GB RAM, and basically every other specifications are identical. The Active version of the GS5 still shares the same IP67 rating as the original GS5, allowing it to be submerged under 3 feet of water for 30 minutes. The rating also gives it ‘dust tight’ status. The S5 Active shares the same micro SD card slot, removable 2,800 mAh battery, 16 megapixel camera, and heart rate monitor, none of which should come as a surprise. Despite a few tweaks, this is still the insanely popular smartphone you’ve already heard about, so this isn’t a downgrade from the original in any way. 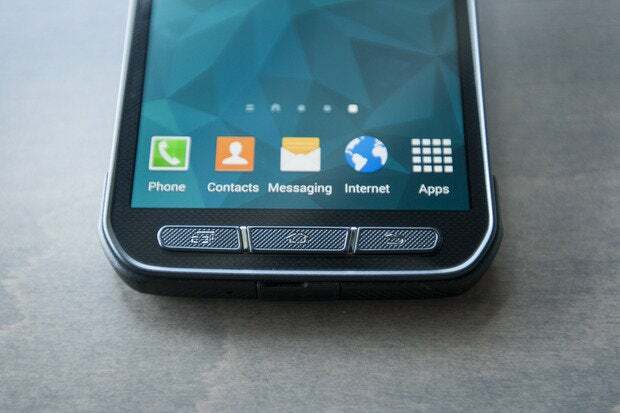 Physical buttons replace the capacitive back and multitasking keys from the original Galaxy S5. Externally, things change. Besides the ruggedized design, one thing you'll notice in particular is that Samsung made all three navigation buttons on the front of the phone physical. The previous button layout included a physical home button flanked by two capacitive buttons for back and recent apps. The three navigation buttons on the GS5 Active resemble those on an older Android phones, giving off a classless look that few will admire. Also notably missing is the fingerprint scanner found on the original GS5. An extra casing protects the sides of the phone and gets bulkier towards the corners. This little somethin’ extra is what makes the S5 Active shock proof, per Mil-STD-810G standards. Sure, it sounds impressive, but the specifics of this capability only require the phone to be dropped from 4 feet off the ground, onto a flat surface without significant damage. I was throwing this phone much higher and farther across a room, with no harm done. The Active Key is highlighted by a blue accent. 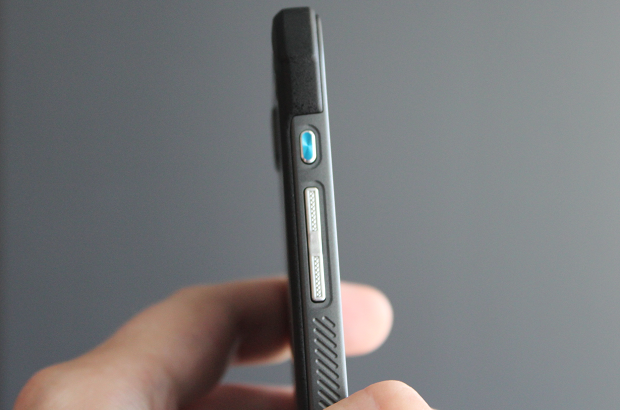 The Galaxy 5 Active also brings another button on the left side, right above the volume rocker. This button, known as the Active Key, is another differentiator from the original GS5. Pressing the button once will bring you to the Activity Zone application. 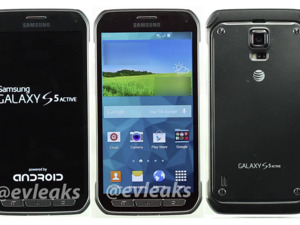 The Galaxy S5 Active basically looks like the GS5 with a slim Otter Box case on it. There’s absolutely nothing elegant about this phone in any way, and that’s ok. The Active is designed for people who are tough on their phones and it shows. The casing that surrounds the Active’s display is big and bulky, but it still surprisingly fits well in the hand. Moreover, the bulk of sides are lined in a riveted plastic that also feels good surprisingly to hold. 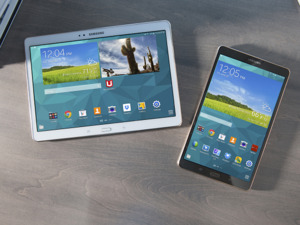 Samsung’s Active lineup is reminiscent of Verizon’s popular, but older and ugly Droid family of devices. Samsung possibly could have designed the phone more subtly, but it’s supposed to appeal to those who are seeking this type of phone out. Stark lines and edges show that the Active is as rough as you are, and that’s the idea. If anything, the GS5 Active makes the original look like a rare gem. The only difference between the S5 Active compared to the original S5 is this app. The GS5 Active, as you’d expect, shares almost identical software to the original, with one exception: Activity Zone. Well, that, and AT&T bloatware. Pressing the Active button once will bring you to the Activity Zone app, while holding it down will launch the camera. Unfortunately, holding down on this button when the phone is locked will not launch the camera. 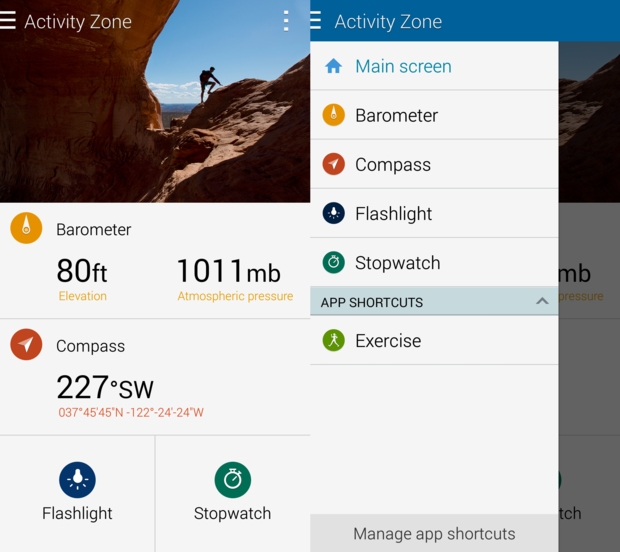 Activity Zone will display the phone’s barometer and compass readings, as well as provide easy access to the flashlight and stopwatch. If you're on a hike or going camping, Activity Zone can be very helpful and is just a button press away at all times. While these are the default applications that are opened when you press the Active key, the user can customize the button with apps of their choosing. You can even use it as a shutter button when in the camera app. 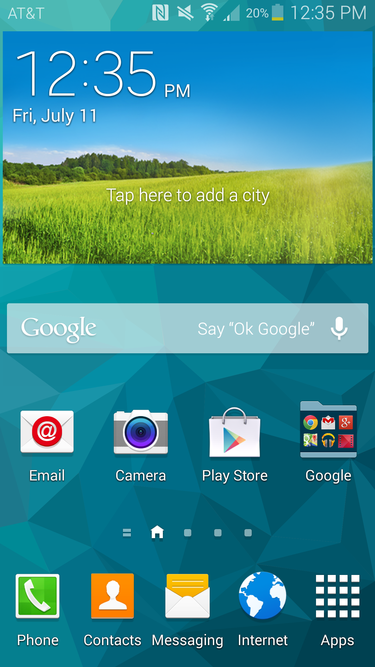 Samsung didn’t touch TouchWiz in the S5 Active. Other than Activity Zone, TouchWiz on the Galaxy S5 Active is exactly the same as what you’d find on the original Galaxy S5. It may be one of the more heavily customized user interfaces for Android, but TouchWiz really does look, feel, and work better than it ever has before. The S5 Active was unsurprisingly great in our battery test. It managed to squeeze out 11 hours and 10 minutes of juice while playing HD video on Airplane mode, with the display set at 100 lumens. When translated into real-world use, there’s a good chance you won’t be running for your charger in the middle of the day with the S5 Active. Luckily, if you need any more battery from the S5 Active, there are two battery saving modes that will help extend its life dramatically. Samsung says that at 10%, Ultra power saving mode can keep the phone going for up to 24 hours. While further lab testing would be needed to see just how promising this power saving mode is, calling it impressive would be an understatement. Are you rugged enough for the GS5 Active? The Galaxy S5 Active is a lot of things. A good all-around phone that’s sturdy would be one way to describe it. Another would be that its a Galaxy S5 with a slimmed-down Otterbox case on it. As the original GS5 is already IP67 certified, it's hard to see why this phone really exists, but it’s equally as hard to come with a genuine reason why it shouldn’t. Despite it’s new shock-proof powers, the physical hardware on the external hardware on the GS5 Active feels wholly like a downgrade from the original. It’s not, though. Despite some qualms I may have with this phone, it’s still based off one of the most popular Android smartphones available right now. Users now just have another option to choose from if they’re seeking a little more ruggedness. While the GS5 Active will likely arrive in other markets, if you’re in the US, you’ll only be able to grab this bad boy from AT&T. There’s also the Galaxy S5 Sport for Sprint, if you’re really hard up for a durable GS5. This probably isn’t going to be a runaway hit for AT&T or Samsung, so the limited availability is a bit justified. Available in Ruby Red and Titanium Gray, and Camo Green, the S5 Active will cost you the same as the regular Galaxy S5, $200 on a new contract. Now it just comes down to which you prefer: the plasticy beauty of the original Galaxy S5 or the brawn of the S5 Active. 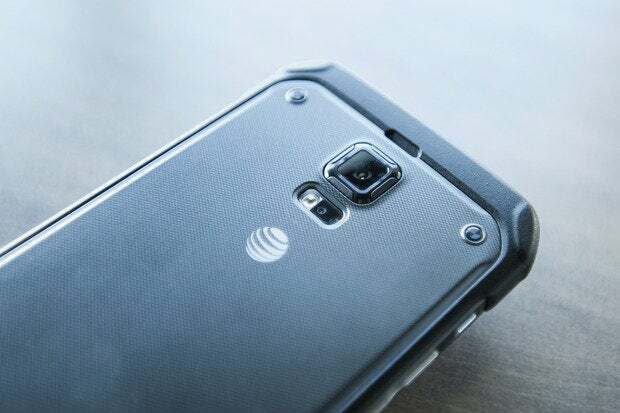 The Samsung Galaxy S5 Active shares identical internal hardware as the original Galaxy S5, but is sturdier, uglier, and only available on AT&T. Limited to AT&T in the U.S.